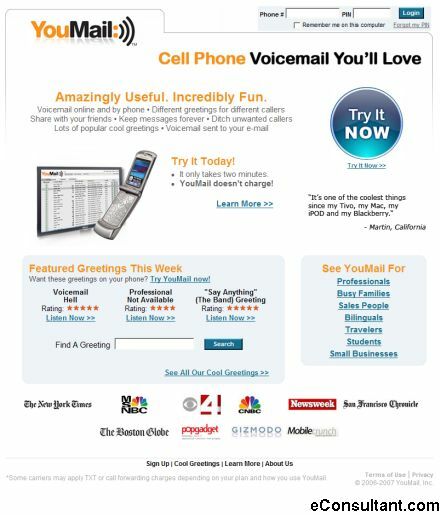 Description : YouMail is the new voice mail for cell phones. Among many features, it allows you to record unique voice greetings for anyone who calls you, based on their caller ID. Individualize your voice greetings for friends, family or important callers while maintaining a standard greeting for work and unknown callers.